Builder: Swan Hunter shipbuilding, Wallsend, U.K.
HMS Coventry was a Type 22 frigate of the Royal Navy. 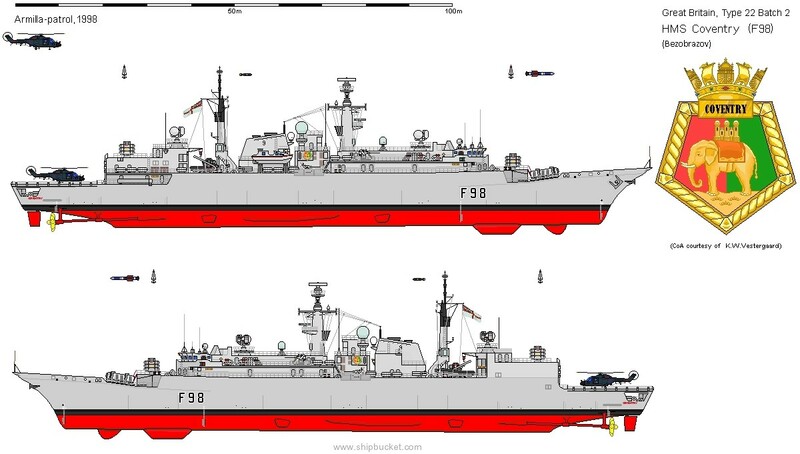 She was originally intended to be named Boadicea but was named Coventry in honour of the previous Coventry, a Type 42 destroyer sunk in the Falklands War. 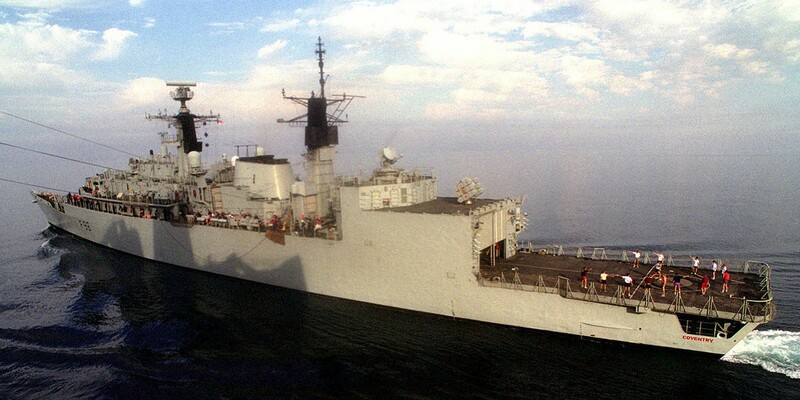 Following service in the Royal Navy she was purchased from the United Kingdom by the Romanian Navy on 14 January 2003, and renamed Regele Ferdinand (King Ferdinand) after Ferdinand I of Romania. The ship was handed over to Romania on 19 August 2004, and underwent sea trials at the same time. Regele Ferdinand was commissioned into the Romanian Navy on 9 September 2004 with the pennant number F221, and is the current flagship of the Romanian Navy.